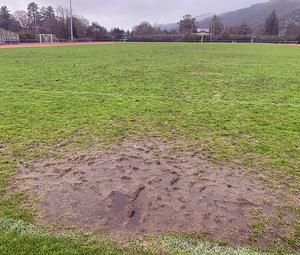 The Ukiah High School football field is in such poor condition that it may not be safe enough for athletes to use in August if remedial action is not taken soon, according to Ukiah Unified Director of Maintenance, Operations and Transportation Gabe Sherman. The field is used by Ukiah High School Football, Ukiah Lions Youth Football, Ukiah High Girls Soccer and Ukiah High Boys Soccer with no breaks in between. Because this winter brought almost three times as much rain as last year and so many teams played on the field throughout the wet weather, the field is in the worst condition it has been in for years. Sherman met with Ukiah Host Lions representatives Mike McCulloch and Ray Chadwick to brainstorm ways the District and the Lions Club could work together so Ukiah Unified can maintain a healthy field, and the Lions Club has a place for kids to play youth football when wet weather prevents them from using the UHS field. Sherman and the Lions Club members are looking at the Eagle Peak Middle School field and other Ukiah Unified fields to see if they would work. “The Ukiah Host Lions Club is extremely proud of the fact that we have sponsored the Ukiah Lions football program for over half a century. Ours is the only program in the North Bay that doesn’t charge a participation fee. We are also proud of our relationship with the Ukiah Unified School District and Ukiah High School in particular. We appreciated the opportunity to meet with District officials to hear their concerns about the condition of the stadium turf and their offer to provide an alternative venue for our program should conditions dictate that necessity. We are committed to continued cooperation with the District and are looking forward to providing our athletes with the best experience possible,” commented Ray Chadwick, Ukiah Host Lions Club Representative. It is only in recent years that the field has had so much activity during the rainy season. Until two years ago, soccer was played during the fall season. 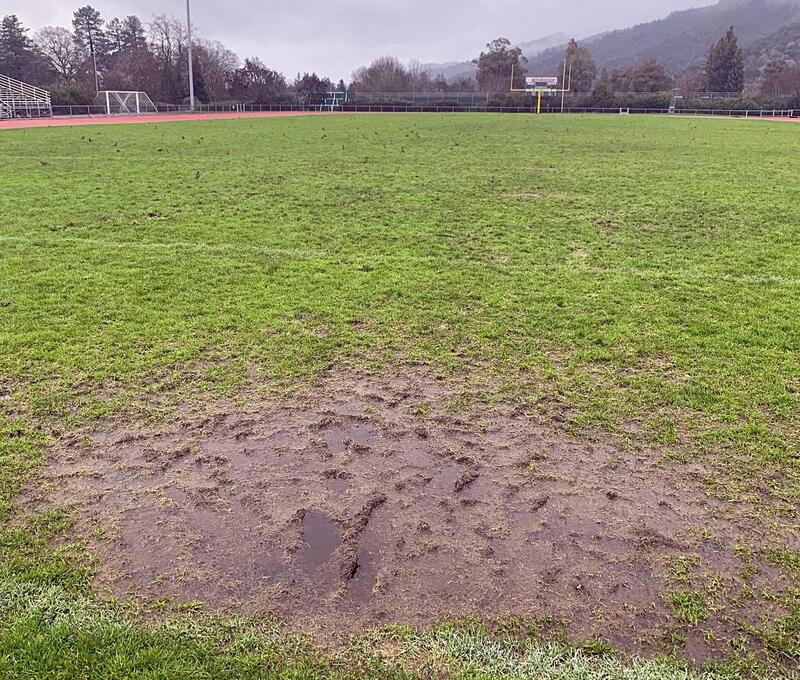 But now, soccer is a winter sport, a decision made by the North Bay – Redwood League. Ukiah High lost the vote because it is the only school in the league without an artificial turf field. To restore the UHS football field so it is safe and healthy for student-athletes—grassy without hard-packed dirt—it takes five UUSD groundskeepers five days of labor with $10,000 worth of materials and the turf must have had several weeks of dry weather before that, so the heavy equipment does not rut the field. Sherman said, “We budget for this every year, but we can’t buy sunshine and clear skies. Once the field has been aerated, seeded and top-dressed, it needs to rest for as much as two months to allow for the seeds to germinate and grow. Any activity on the field during this period can undermine this growth. Otherwise, the seeds won’t germinate.” He noted that seeds do not germinate in hot weather, so his team cannot wait until summer. Eventually, UUSD would like to purchase artificial turf but the cost is currently prohibitive.